Sam has a background in healthcare philanthropy as well as foundation and higher education administration. Most recently, Sam was the Executive Director of the Beatrice Community Hospital Foundation in Beatrice, NE. He also served as Director of Scholarship Programs for The Ford Family Foundation based in Roseburg, OR. Prior to his role at TFFF, he spent nearly 28 years serving as Vice President of Enrollment and College Relations, Senior Director of Development and Director of Admissions at Hastings College (Nebraska), his alma mater. 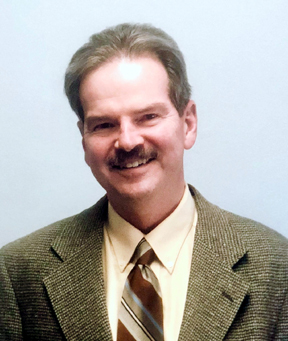 In addition to his undergraduate degree from Hastings, Sam earned a Master of Arts degree in Educational Administration from the University of Nebraska-Lincoln. He is a native of Pilger, NE, and currently lives in Bennington, NE.